My small rural Maine town (population over 3000) has an annual celebration day with a barbecue and outdoor events every year. 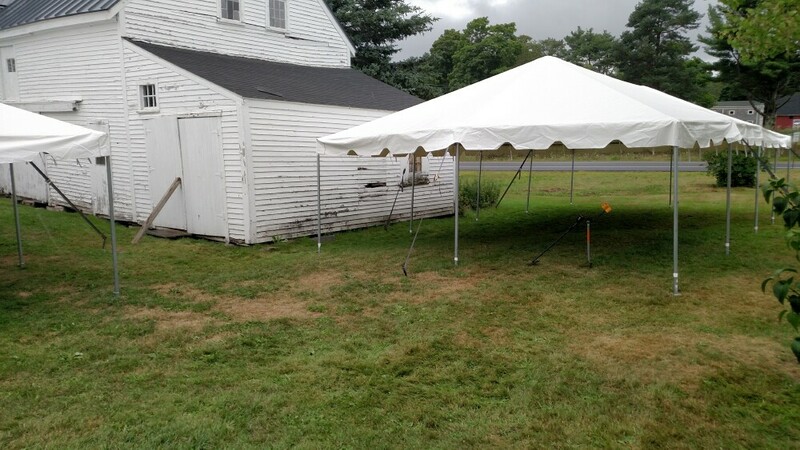 It is held in the field of the historic farm house and historical museum adjacent to the town hall and fire department. I have had permission to detect this property since April and have searched it thoroughly. 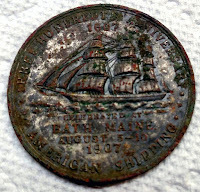 The only significant find was a medallion I found on my 3rd day of detecting (ever!). 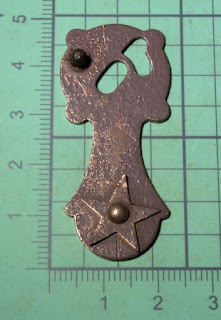 I gave it to the Historical Society where it is now on exhibit. Story details here. The town put up 2 tents for the celebrations and I went over in the late afternoon to see if I could find any dropped coins. 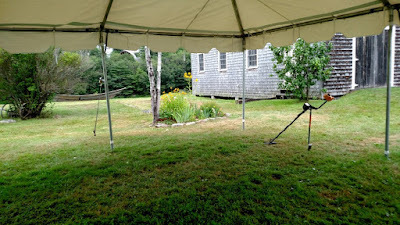 It was a gray day with light drizzle so it was nice to be able to detect under the tents. 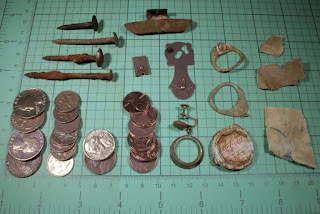 What surprised me is how many items I found that were buried about 3-4" deep, mostly coins from previous years. Nothing on the surface. The thing is I had gone over this area twice back in the spring and found almost nothing. This time I got signals every square yard! It was nice to be able to detect under the cover of these tents while it was raining. 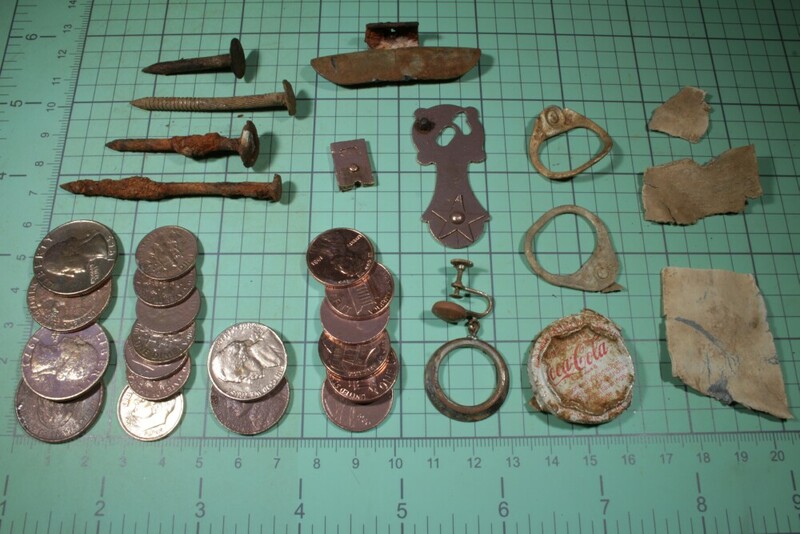 Here's what I found - mostly from under the tent on the right. $1.86 in change, pull-tabs, nails, bits of lead flashing and a tire weight. The only old looking item is this brass part that looks like it was part of a latch. I think I'll go back over to this property again. The only difference between the spring and now is that the dirt is really dry. In the spring it was soft and muddy. Maybe my Garrett ACE 300 detector has more trouble discriminating signals in very wet dirt?